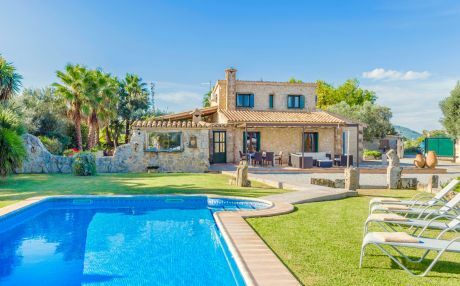 Located in the north of the island, the city of Alcudia is undoubtedly one of the most beautiful corners of Mallorca. Its paradisiacal beaches, its extensive cultural heritage, its gastronomy and privileged climate attract thousands of tourists every year. • Playa de Alcudia: 7 km long, it is one of the biggest sandbanks of the Balearic Islands. 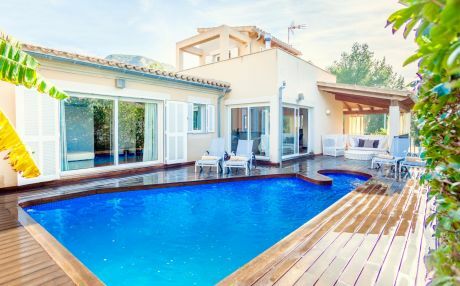 It is located in Port D'Alcudia. It has two areas, one holds a lively promenade near the marina and the other one, which is much wilder, goes up to Ciudad Blanca, at the limit with Playa del Muro. • S'illot: it is a beautiful, small and cozy cove located in the surroundings of La Victoria. This cove has the shape of a double arch. With only 150 m of length and composed of small boulder stones, this small wild cove is the ideal place to snorkel and to practice diving. • Sant Pere: holding extraordinary views of the bay of Pollensa and Formentor, the small Cala Sant Pere has fine sand and a length of 100 m. In addition, it is one of the most accessible . Surrounded by large medieval walls, its wonderful old town has a large number of restaurants, shops and terraces. 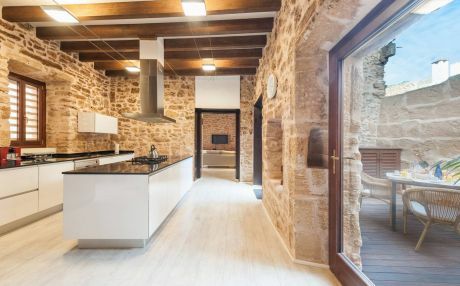 The town is the ideal place to spend a holiday with the whole family, and our houses in Alcudia are perfect to enjoy and explore the whole city. There is no need for cloudy days to enjoy the more cultural and educational activities in Alcudia with your little ones. At Puerto de Alcudia, you can hire a sea excursion to explore the north coast from the sea aboard a boat. Another option is to explore Parque de S’Albufera where you can enjoy its marshes, dune systems and a large number of animal species. Some exciting spots here are the old town and walls of Alcudia, where children will surely let their imagination fly. Finally, if you have a vehicle, you cannot miss the Sierra de Formentor. • Coll Baix: it is one of the least accessible but most beautiful beaches in the north of Mallorca; a wild natural environment you can reach after walking about 2 km. A beautiful cove of about 250 m in length surrounded by vertical walls of rock and spectacular turquoise waters. 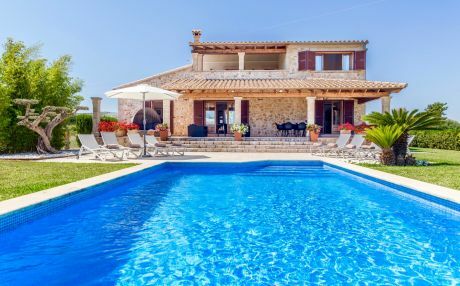 • Sant Joan: a beautiful beach with views of the Cabo de Formentor and the Bay of Pollença with only 100 m in length and a good calm and family friendly atmosphere. Turquoise waters bathe its fine white sand where youcan relax and sunbathe. 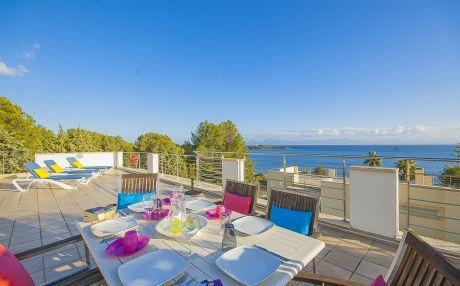 The offer to stay in Alcudia is very wide, since with so many km of beach there are numerous hotels, many of them of high category aimed at family tourism.